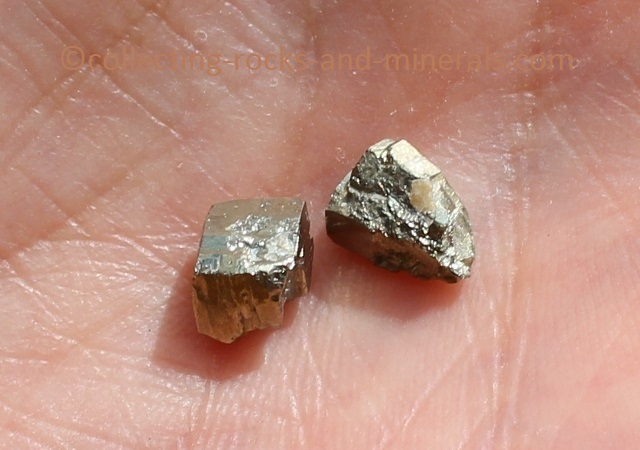 Pyrite mineral is also called fool's gold. 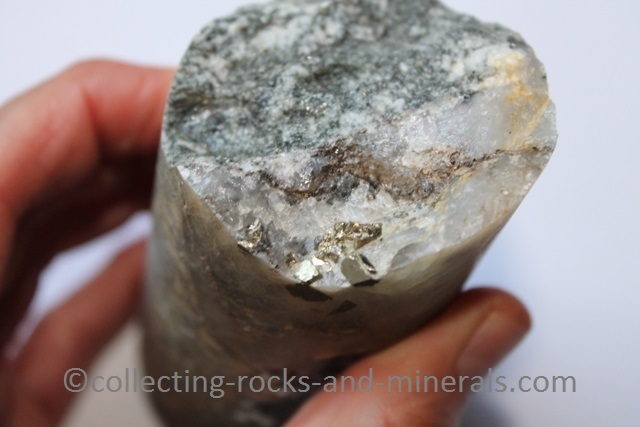 It is not hard to work out why - since it can look like gold for novice prospectors. 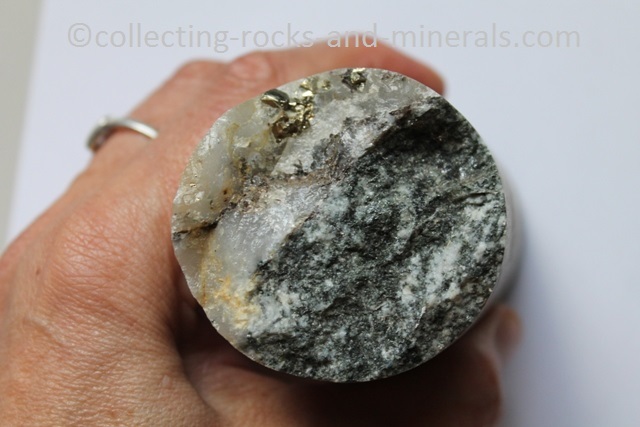 Its brassy yellow colour, its weight and density are also similar. But in fact it hasn't got much value at all. 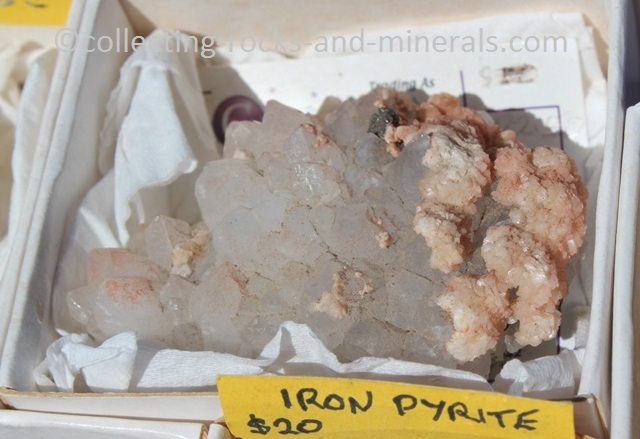 It can be found in many different habits - massive, botryoidal, nodular and granular, but also crystals that most often are cubic or octahedral. The crystals can be more or less perfect, but there are the perfect cases too. It can be found in hydrothermal veins. 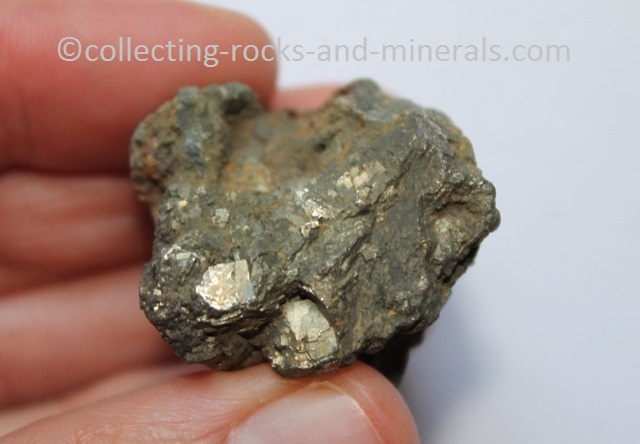 It can often be found in large deposits. 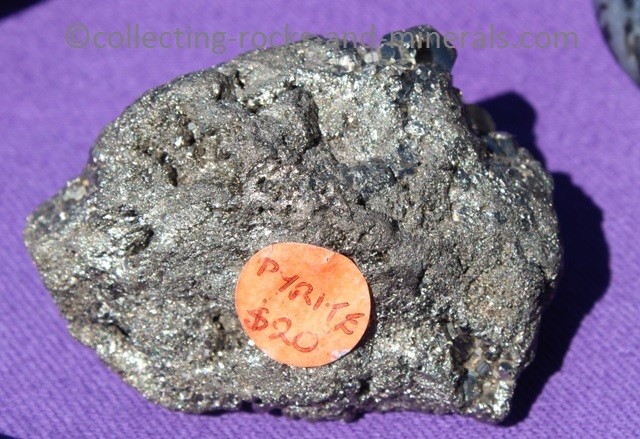 Pyrite is a very common mineral, it could be found in almost any rusty looking rock. 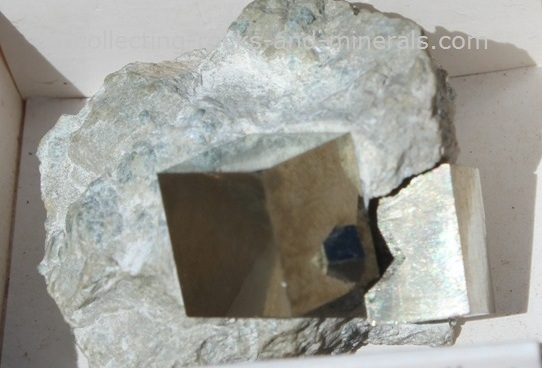 It is a sulphide mineral, more exactly iron sulphide. 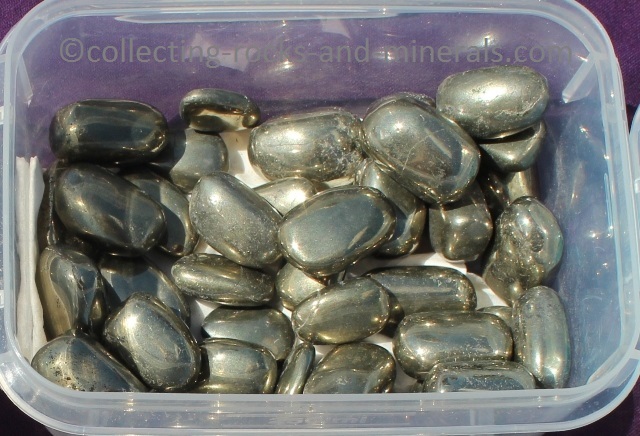 It is rich in iron but is not used as iron ore. It used to be used as sulphur ore in the past.